Well done to the SDFC Under 12s Div One team that have won the 2016/17 Grand Final. This great team had an awesome season going through every game undefeated and defeating Wanderers in the Grand Final. 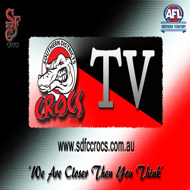 But it wasn’t without controversy though as Wanderers called a head count on the Crocs with only a couple of minutes left in the last quarter. 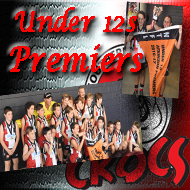 The Crocs had the correct number of players on the field and the Grand Final win could not be taken away from them. To cap off a great season Patrick Snell was awarded to the Atkinson Medal for best on ground in the Grand Final..